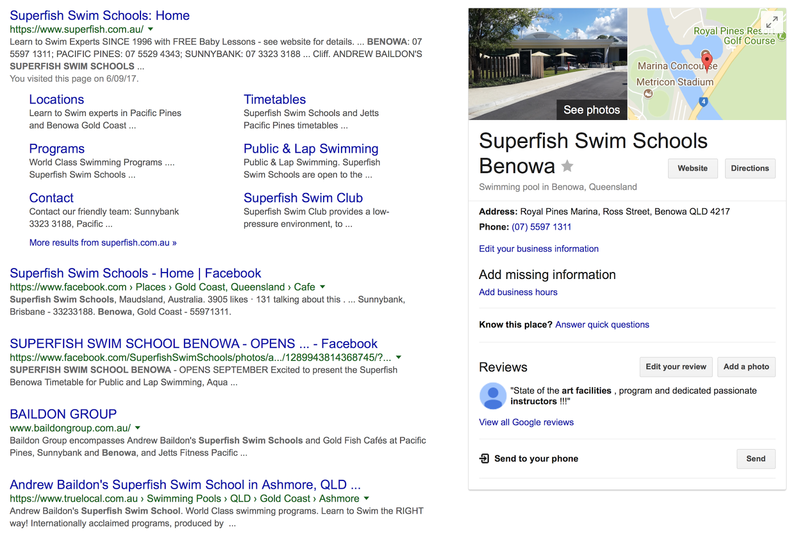 Investing in an engaging, strategically developed website that reflects your core brand ethos, your "why", products, services and point of difference is imperative but ENSURING YOUR WEBSITE IS SEARCH ENGINE OPTIMISED (SEO) TO GIVE YOU THE BEST CHANCE OF BEING FOUND ORGANICALLY BY POTENTIAL CUSTOMERS (without paid advertising), IS THE ESSENTIAL GOAL. Firstly, don't be fooled by those who offer cheap website development; I've been undercut on quotes many times and when this happens the client virtually always comes back to me for advice, after the site has been developed, as to why they don't appear organically on google searches. Anyone can call themselves a web developer, purchase a template, throw in custom text and imagery, and sure, it looks pretty good, but do they have your big picture in mind, is it strategically aligned with your brand standards and therefore rest of your marketing? The back end of the website is of key importance if you actually want new potential customers to find you organically, so how do you know if the developer has actually implemented SEO features on your site? Do they really know what they are doing and do they have your best interest at heart? This blog post is to help you get a basic understanding so you can make informed decisions. SEO is ever evolving, Google are King and they move the pieces of the chess game frequently - but their goal seems to be that of creating an improved user experience, authenticity, integrity and interaction. Don't be sucked in by the endless emails, calls and text messages of those claiming to be "SEO Experts" who frequently use fear, and throw your ignorance in your face, to sign you up to paid campaigns. In my humble opinion, it is such an evolving area that few can truly claim to be an expert, and even if, to a degree, we are all sheep, even the data analyst experts are struggling to prove what formula can be used to make a social media post go viral driving visitors to your website, or guarantee you to be at number 1 position, on page 1 of a google search without your name in the search phrase, without paid advertising. With my SEO checklist, I get good organic results in most sectors (harder to achieve with highly competitive industries such as finance), until the Google goal posts shift again. SEO is time consuming, it is staying up-to-date with the evolution, monitoring Google Analytics regularly to tweak your SEO, checking what key phrases are being used to bring visitors to which pages of your website, who is being drawn to the site - are they the demographic you were actually targeting, how long are they staying, what are they looking at before they leave, where are incoming links coming from (great for checking if paid listings are actually worth the investment), etc. Also, checking Google Console (formerly Webmaster Tools) to ensure your website is being indexed fully by Google, if there are any page load or link errors, uploading a sitemap when pages are added or removed, looking at page load speeds (to avoid Google penalising your ranking potential). Running a few paid adwords campaigns to test keyword phrases in your industry, even looking at the backend code of successful peer's websites to see how they are using key phrases, which ones bring the right demographic to your website, then building those key phrases into your website in the key areas that the google robots search - and so much more; it all forms part of the ongoing site 'optimisation'. It takes a lot of time, knowledge, experience and a willingness to learn, adapt and evolve. 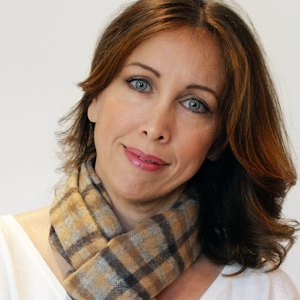 If you have someone on your team who has the ability, fantastic, otherwise, you really do need to appoint someone, but understanding the following basics will help you to select the right person for the job with a little more insight, and not let them use your lack of knowledge as a way to charge excessive fees whilst offering no measures or ROI. TIP: If you are enticed by an "expert" to run a paid google adwords campaign, make sure you ask for access to the campaign account, so you can see exactly how much of your money they are actually spending and where, what keywords/phrases they are using, the demographics they are targeting, the text content (make sure it aligns with your brand) and monitor the results. You can use all this information to tweak your website for better organic results. Remember, even if they understand the ins and outs of adwords, that does not mean they are an expert in YOUR industry, nor does it mean they understand your customers or will respect your brand standards. Basic SEO is built in to every website I develop at McCoy Design and I openly share my knowledge as I work with my clients to set up their social media platforms, digital directory listings, etc. to the degree they require. The ongoing tweaking, analytics review, maintenance and social media strategy and roll-out are, understandably, an additional service that I offer on a retainer basis. Switch to a secure HTTPS server (using HTML5 for cleaner markup, simplified coding, fast page load speeds, cross browser consistency and more) - adding a SSL 2048-bit key certificate on your site will give you a minor ranking boost. Moreover, from October 2017, Google Chrome browser will show a "Not Secure" warning to the viewer when entering a non secure HTTP website - that won't look good! Get ahead of your competition and switch to a secure server pronto! Ensure your website is responsive for mobile devices. Google Test. Even the page URL matters! e.g. Changing my "logos.html" page to McCoyDesign.com.au/logodesign.html improved my ranking for those searching for logo design. Make each page title (meta title) relevant to the content of that specific page. This is the heading that appears at the top of the browser window but is also listed by Google in search results. 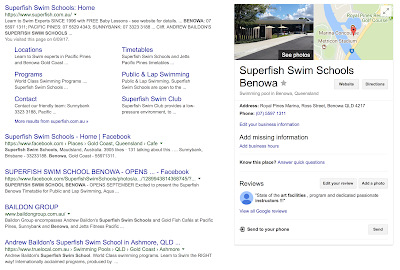 This gives you a better chance of Google giving you a nicely formatted (stands out against competition) index of pages in organic searches. I start each page title the same (e.g. "Switch Finance Gold Coast") and add a separator (• or | or -) followed by the page relevant title (Switch Finance Gold Coast | About Us). Make the 'meta description' succinct and relevant to each specific page content (not the same for every page of your site). This is the text that appears on the google search engine wall, under your page title heading, under the URL. This is the text that people read first before choosing to go on to your site, so it is really important! CONTENT IS TRULY KING! Make all content highly relevant and customer focussed - it's about why you do what you do, how that sets you apart - allowing the right type of people to find and resonate with your message, and potentially turn into a customer. Thoughtfully include the relevant key phrases (that potential customers may use to search online) throughout, but without repeating the same information (or Google may ignore it), making each page content subject specific. Include your most important and relevant key phrases in your <h1> and <h2> header tags (the larger headings above paragraph text). Think about how you can incorporate important phrases, the way people search, differently on each page. Don't use jpgs/png images for text headings or slide show images. Use css formatted text that can be contextually searched, indexed and referenced by Google. 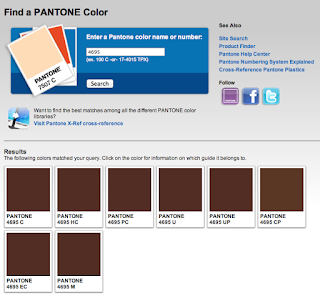 With the introduction of web fonts there is no need to create jpgs to retain brand integrity. You can use the fonts of your choice directly in your web design. Embed meta data (hidden information) into all photos and graphics, including heading, description, URL, email, keywords and copyright information. This enables your images to be searchable too, and they will appear in the Google "images" tab and will link back through to your website. 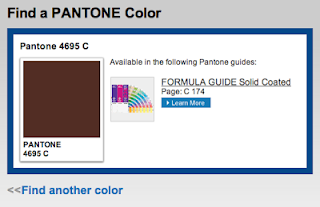 Optimise your image sizes. Images have a huge impact on the overall size of your website, and affect page load speeds, which in turn can affect how google rank you. Carefully balance responsive image size and compression so the file size is as small as it can be whilst still looking great, without pixelation. I used to rely on Adobe Photoshop compression, but the gurus at Thinking Cap Studios showed me how much better the compression is on other apps such as ImageOptim or online via compressor.io - but make sure you add your meta data after compression or it will all be lost. Also, name the file carefully, descriptively. You must use the "ALT" tag (alternative name for the image if it doesn't load or for accessibility). Add a title, caption or adjacent contextual text. Google Image Guidelines. include hidden meta data (copyright information, web url, contact details, key phrases, description, etc.) I use Adobe Bridge for this but there are other tools available. make the file name protocol relevant (ie. Name_Where_WhatItIs.mp4", such as "McCoyDesign_GoldCoast_BrandDeveloper.mp4") and ensure there are NO SPACES in the file name (use underscore or dash to avoid spaces). when uploading, give consideration to the (searchable) wording you use in your video title and description. Take the time to write about the video, incorporating relevant key phrases that people may use to search. use YouTube's tag section to include appropriate, industry specific key phrases and words. once you have completed the above, use YouTube's embed code to add the video/s to your website. FACEBOOK: You can also share your YouTube video on Facebook but Facebook has a new strategy for video and gives incentives and search preferences to videos uploaded directly to Facebook rather than via YouTube. Find out more here. Integrate Google Analytics with your website so you can track incoming and outgoing links, see the customer demographics, which pages they are, or are not, viewing. Review your analytics data frequently to check/improve your site's keywords and content. As the business leader, you need to understand this data and use it to your advantage. Ensure you have full access to your analytics with your own Google login and add key team members (with appropriate access level). This data provides valuable insights which you can utilise in your marketing strategy. Integrate Google Console (Webmaster) Tools. You have created your YouTube Channel and Google Business Listing, so you will already have a 'Google Brand' Account - you use the same login for all. Now you can create your branded Google+ (Plus) page. Sign in to Google+ as the owner (or manager) of the Brand Account, click your profile image in the top right corner to bring up a menu from where you select your brand account. From there you can "Enable Google+" - INSTRUCTIONS. Link your Google+ page to your website and vice versa. If you have this set up in accordance with Google's requirements and have verified your account, you can create a custom URL (well, to some extent, the URL options are a little restrictive - BUT WE LOVE ALL THINGS GOOGLE DON'T WE?!). GOOGLE LOVES NETWORKING! Google robots rely on the interaction between sites to gather and make sense of information, so link to reputable, relevant websites and online directories, and have them link to you. 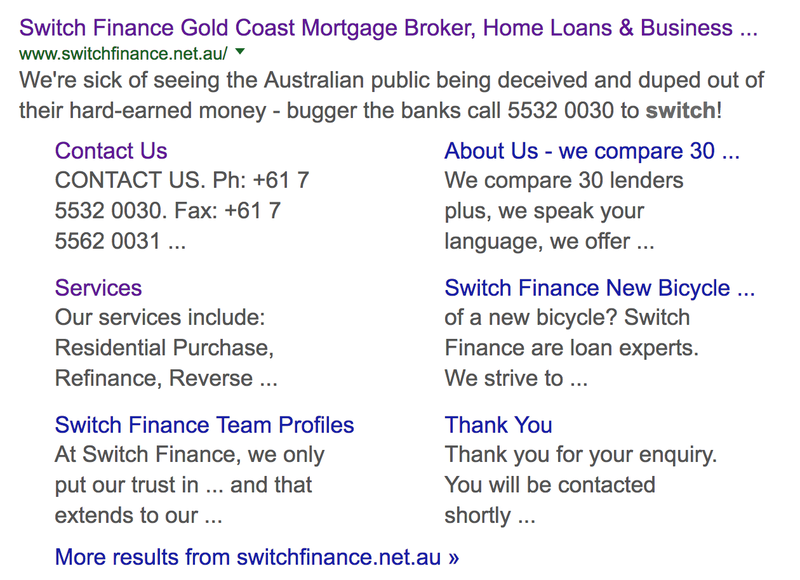 NEVER PAY SOMEONE TO LINK YOU TO HUNDREDS OF IRRELEVANT SITES, Google are smarter than that and can actually drop your ranking, plus you end up spending countless hours fixing up incorrect information, if you are lucky enough to have obtained the login details for the listings. Promote your website on quality, high traffic websites that are relevant to your brand/industry/products/service and assess/review incoming links via your analytics (i.e. paid advertising such as facebook ads, paid or free advertising on business directories), exchange links with your suppliers, customers, associates, etc. Only list your website on relevant sites such as industry associations, your clients, suppliers, products/services you recommend etc., and with any paid links, keep a spreadsheet detailing your log in details, who, where, when, cost, renewal date, successful clicks/links, etc. Ensure they stay up-to-date, especially any offers you have included. Add social share icons that give you analytics so viewers can easily share your page on Facebook, Twitter, LinkedIn, Pinterest etc. - and you can view the data. It is about interaction, bringing people together - google will reward you. Integrate your site with social media, such as incorporating a facebook like box, facebook, twitter and instagram live feeds (posts from your facebook wall/tweets appear on your website), etc. Ensure all your social media pages link to your website. Here's a fantastic example of interacting with customers: fourpillarsgin.com.au share their customer's instagram posts on their website, linking back to the customer - awesome 👏🏼. Optimise your site, delete duplicate pages, check all links, fix link errors and use the W3C validation tool. Google take up to 6 weeks to index a website unless you use Google Console (Webmaster) Tools, such as "Fetch as Google". From experience, you can also speed the process up with a quick, cheap Google AdWords campaign. Phew! Easy hey? Gin, did someone mention gin? It is never a subject that clients are comfortable discussing. There is always much confusion but I cannot state clearly enough, the importance of clients understanding their responsibilities when it comes to copyright and moral rights. I make a point of writing to every single client, at the outset, and advising them to seek the advice of a specialist IP lawyer. 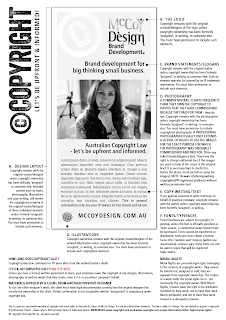 This is a general, very simple overview of copyright and moral rights in Australia for clients of McCoy Design. It is not an authoritative statement. The law is subject to change. You are advised to appoint a registered IP professional. Clients - please refer to McCoy Design Terms of Trade and Service. A. DESIGN/LAYOUT Copyright remains with the original creator/designer unless copyright ownership has been officially ‘assigned’ to someone else. Included content such as logos, photography, illustrations and copy-writing, still remain the copyrighted property of the original creator/designer of those individual elements unless formerly ‘assigned’, in-writing to someone else. You must have written permission to include such elements. B. THE LOGO Copyright remains with the original creator/designer of the logo unless copyright ownership has been formerly ‘assigned’, in writing, to someone else. You must have written permission to include such elements. At McCoy Design, I provide my clients with an official transfer of copyright ownership assignment form upon completion and payment of the final approved logo. C. BRAND STATEMENTS/SLOGANS Copyright remains with the original author unless copyright ownership has been formerly ‘assigned’, in writing, to someone else. Such an element may also be covered by an IP trademark registration. You must have written permission to include such elements. D. PHOTOGRAPHY A COMMON MISTAKE: CLIENTS FREQUENTLY THINK THEY OWN THE COPYRIGHT TO PHOTOS THAT THEY HAVE COMMISSIONED BECAUSE THEY PAID FOR THEM - they do not. Copyright remains with the photographer unless copyright ownership has been formerly ‘assigned’, in writing, to someone else. You must have permission to include copyrighted photography. A PROFESSIONAL PHOTOGRAPHER USUALLY ONLY EXTENDS A LICENSE OF RIGHTS TO USE THE IMAGES FOR THE EXACT PURPOSE FOR WHICH THE PHOTOGRAPHY WAS ORIGINALLY COMMISSIONED AND PAID FOR. Ditto any talent (model)/agency fees. They have the right to charge additional fees if the images are used outside of the scope of the original brief. It is very important to clarify this before the photo-shoot (or before using the images). NOTE: Beware of photographing copyrighted/IP registered products without written permission too! E. COPY-WRITING/TEXT If you appoint someone to write text/copy on behalf of you/your company, copyright remains with the author unless copyright ownership has been formerly ‘assigned’, in writing. F. FONTS/TYPEFACES Fonts/Typefaces are subject to copyright. In general, unless the font is officially specified as ‘open-source’, a commercial usage license must be purchased. Fonts cannot be transferred or distributed; each user must obtain a license. Some offer ‘multiple seat’ licences (within one organisation). Licenses vary. Some fonts can not be used in logos that will be registered trade-marks. G. ILLUSTRATIONS Copyright ownership remains with the original creator/designer of the artwork/illustration unless copyright ownership has been formerly ‘assigned’, in writing, to someone else. You must have permission to include such copyrighted elements. Copyright protection continues for 70 years after from the author/creator’s death. To use any other designer’s work, the client must have legal documentation proving that the original designer has transferred ownership to the client. Verbal confirmation is not acceptable; written ‘assignment’ is compulsory under copyright law. "IT’S OK, MY EMPLOYEE DID IT!" NOT NECESSARILY! MORAL RIGHTS - DO NOT GET TRANSFERRED! Moral Rights are personal legal rights belonging to the creators of copyright works. They cannot be transferred, assigned or sold; they are separate from copyright ownership. The creator of a work holds the moral rights but is not necessarily the copyright owner. With Moral Rights, creators have the right to be attributed /credited for their work; not to have their work falsely attributed; and not to have their work treated in a derogatory manner. © Copyright 2015 Julie McCoy - all rights reserved. Move your cursor over Profile at the top of your homepage and select Edit Profile. It will be an address like "www.linkedin.com/profile/view?id=000000000&" which you want to change to "www.linkedin.com/in/yourname". 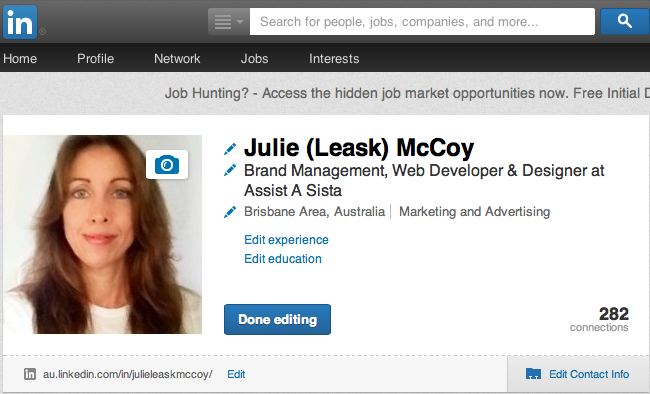 Click Edit next to the URL directly under your profile photo (left side). 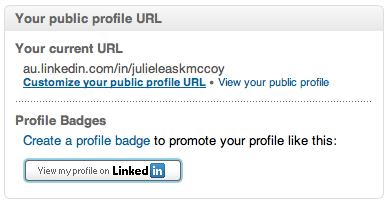 In the Your public profile URL box at the bottom right of the page, click "Customize your public profile URL". 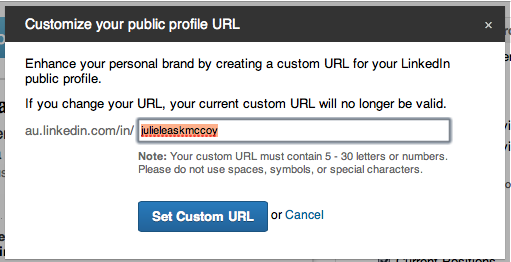 Your custom URL can have between 5 - 30 letters or numbers. Do not use spaces, symbols, or special characters. You cannot change your URL more than 3 times in 6 months. If you've already done this, you'll have to wait 6 months before you can change it again. Some URLs may be unavailable. If a member uses a URL and then changes it, the URL they first chose will be unavailable for use by another member for several months. We're unable to make these URLs available upon request. If the URL you want isn't available, please select a different one. You will be supplied a ".mailsignature" file by McCoy Design. Save this file onto your desktop. 1. In Mac Mail, go to "Mail>Preferences>Signatures>All Signatures" and click on the ‘+’ sign at the bottom to create a temporary signature. Give your signature a relevant name then click the close button and Quit Mail. This is just a temporary signature and the hidden file this creates on your hard-drive will be the file we replace with your new signature. The window you are now viewing shows all your email signatures. Sort the window into date order, with the most recent file at the top ie. the temporary signature file that you created earlier. You will see the signature you created at step 1 named something obscure like "3FEC3C02-CA26-4929-A911-4412CC6562FF.mailsignature" (Tip: The time the file was created will give you an indication as to whether you are looking at the correct file - don't accidentally replace another signature). Now click on the name of that signature and copy the entire name including the .mailsignature at the end. Keep this window open. 3. Go back to your desktop and locate the file supplied by McCoyDesign. You need to change the name of that file to be exactly the same name as the one you just copied. Click on the name, highlight it all and paste the replacement name. It must be an exact match. 4. Now drag the file on the desktop onto the window with the temporary signature. If you have renamed this file correctly, it will ask you if you want to replace the temporary signature file? Click "Yes". Now click once on that renamed file, then click "Command" and "I" (as in "i" for info) to "Get Info". This launches another small window and in the "General" section at the top, you will see a box labelled "Locked". 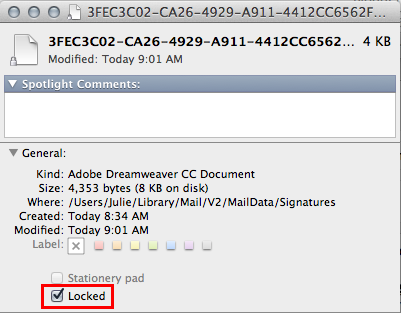 Tick this box to lock this file (otherwise Mail will over-ride it with your original temporary file). 6. Restart Mail and go to "Mail>Preferences>Signatures>all signatures" and make sure your new signature is there (linked images will only appear if you are connected to the internet). Drag the signature name (in the column above the + - symbols) onto your relevant email accounts in the left column. There - clear as bloody mud. If apple had made this any more complicated I would have thought Microsoft had taken over! Position your mouse pointer over the picture. Right-click your mouse. Click the option for "Save Picture As" on the pop-up menu. By default, the Save Picture dialogue box will appear. Save the picture at this location or click the down arrow to the right of the "My Pictures Save In" box to select a different location. Save the picture in the "My Pictures" location. At the bottom of the Save Picture dialogue box, next to File Name, type in the name you want to give the picture. Click the "Save" button. So basically, when you view a website, your browser cache stores what you are viewing on your hard drive to make it load much quicker next time you visit the same page. Unfortunately it means you are sometimes viewing old data. 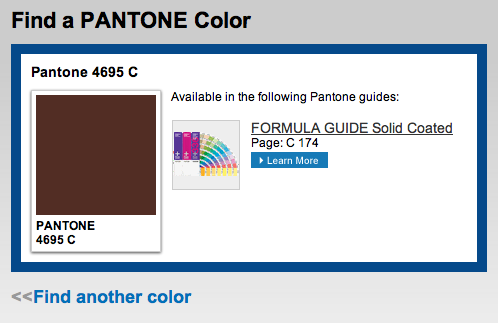 You need to "empty" or "clear" cache, then refresh/reload the page to view the most recent version of the website/page. it is just in the drop down menu entitled "safari". Firefox it is in "Preferences > Network > Offline Storage > Clear Now". Internet Explorer click "Internet Options > General > Temporary Internet Files > Delete". Save your email signature (created by McCoyDesign) anywhere on your hard drive. Click on the email account in the top left corner of the screen that is your active account. Check the box on the right side of the screen labelled "attach this signature" then locate and select the new .htm signature file that you saved on your harddrive. Open Microsoft Outlook Express Select Tools > Options then select the Signatures tab. Click “New” then select the “Add signatures to all outgoing messages” checkbox. Click “File” under the “Edit Signature” section (near the bottom). Click “Browse” and select the .htm file that you saved to your harddrive at point 1. Click “Apply” (near bottom right). Compose a new message and verify the new signature is in place. Windows XP and 2000: Open "Folder Options" from the Windows Control Panel (or from the Windows Explorer or My Computer "Tools" menu). In Folder Options, click the "View" tab and, under "Hidden files and folders", select "Show hidden files and folders". Windows 7 and Vista: From the Windows Start menu, click "Control Panel > Appearance and Personalization > Folder Options" (or type "Folder Options" in the Start Search box and a shortcut to "Folder Options" will appear). In the "Folder Options" window, click the "View" tab. Under "Hidden files and folders", select "Show hidden files and folders". You may also wish to uncheck the "Hide extensions for known file types" box, in order to see the file extensions for all files. Note: You may need to uncheck another box, "Hide protected operating system files (Recommended)", to see certain hidden Windows operating system files and folders. In most cases, however, clearing this box will not be necessary and you should leave it checked. Open Outlook 2013, 2010 or 2007, create a new signature, name it, leave the window open. Save your css formatted .htm email signature onto your hard drive. Open the .htm file in your web browser (ie. Internet Explorer, Firefox, etc.). Ctrl+A to select all the contents of your signature in the browser window then Ctrl+C to copy it to your clipboard then go back to your Outlook new signature and Ctrl+V to paste it into the signature editing box. You will still have to set up the body of the email (font/colour/size) via Outlook's preferences. Open the ".htm" file that you've been supplied from within your web browser. Press "Command A" on your keyboard to "Select All". Now open Outlook 2011 and select "Preferences" scroll down to "Signatures". Click the plus button on the lower left to create a new signature (there may be some content in the right side of the signature window after you've clicked the plus icon, delete this content. Now press "Command V" on your keyboard to paste in your html signature that you copied from your browser earlier. Disclaimer: I am not a PC user, I am a proud Mac user of 23 years. The information above has kindly been provided to me from various sources over the years and is a guide only. Clients, please let me know if you have any corrections to the above information. 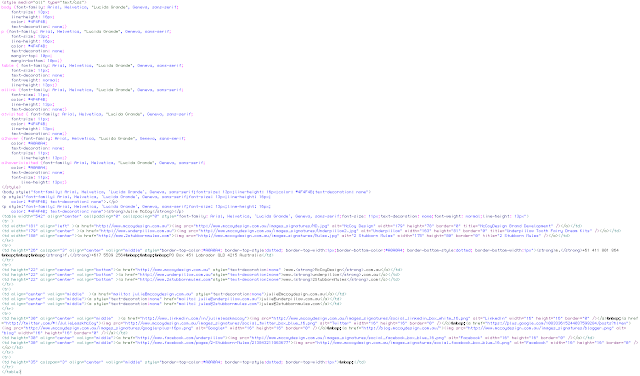 As part of a client's Brand Development Startup Package, I create HTML email signatures. It's a tricky little job; way trickier than you would ever guess by just looking at the signature in your mail application. Designing an HTML email signature that displays the same on all of the key email applications is challenging, because they each have their own way of handling (or stripping out) CSS coding. Some even handle it differently depending on the version (especially Outlook Express). Made just a little more complicated than website html, by the fact that you have to double up with CSS, in the head section and inline, whilst realising that certain features of CSS are completely ignored by some Mail applications (eg. floats, margins). For my fellow designers, you may find this blog "A Guide To CSS Support In Email" by Campaign Monitor, a very helpful insight into how the different mail applications handle CSS in email signatures. Uncheck the "Block images and other external content in HTML e-mail." checkbox. Now installing the signatures .... well, that's another story!